Connor Fields and Olympic Gold! What a day for Chase BMX and Connor Fields. 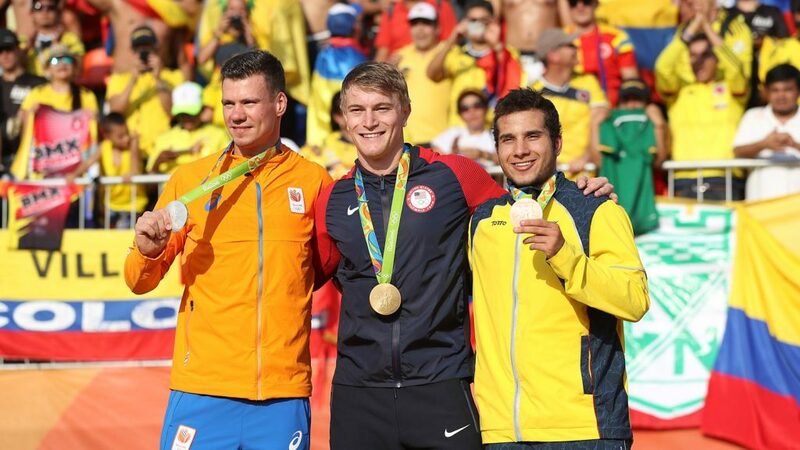 As you know by now, Connor Fields took the Gold medal in Rio for the BMX Mens Olympic finals. What a journey it has been for Connor this season, with an a broken wrist at the 2nd round of the World Cup and he basically has been on the mend ever since. The injury even kept him from being able to race the USA Olympic trials, but his strong performance over the past 4 years earned him the Olympic selection, what are great decision from USA Cycling! Today caps off a lifetime of BMX dreams to come true for Connor and the determination he showed this season makes us so happy for him and our decisions to sigh him as the first rider to the Chase BMX brand! 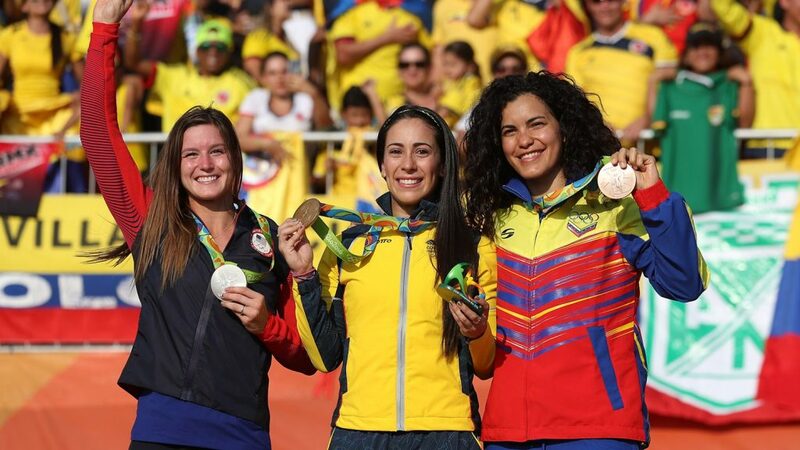 An incredible day as well for Carlos Ramirez and Stefany Hernandez as well, both taking Bronze at the games, both making this such a monumental day for all of us! 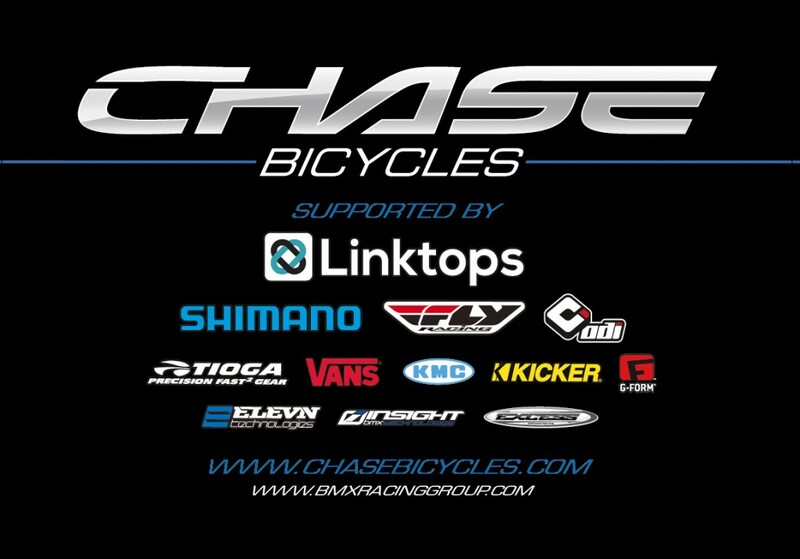 What a journey it has been for Chase BMX as well. 4 years ago, Christophe Leveque and Myself sat down to discuss the idea of brining a new BMX brand to life. Between the both of us, Christophe, one of the most accomplished Pro racers of all time, and myself, someone who has been around the best in BMX on and off the track for 20 some years, the passion we both had for the sport, made it an easy decision to try to make the best BMX brand we could. At the 2016 Olympics, we had 8 riders out of 48 on Chase Frames – The most of any BMX brand! Without the help of all of our great supports, dealers, and sponsors, we could not the made all of this happen. 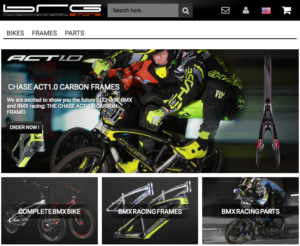 We want to thank – WPS / Fly Racing, Tioga BMX, Shimano, ODI, G-Form, Kicker, KMC, Linktops, Vans, US Pro Bikes, ECI, Concepto Total, ADU, TRM, Al Patio, Podium Racing, Gravity Bolivia, S-Plus, Jasso Bike Shop, Lake Cross, Dans Comp, J&R, and all of our dealers that have supported the BMX Racing Group and Chase Brand and of course all of the Chase BMX fans and customers who have helped make all of this happen! From Christophe and myself, thank you to each and every one of you for helping us, support us, and believing is us. The journey has been a pleasure and we could not have done it without each and everyone of you!